The once upon a time enterprise giant is going back to where it belongs, to the office. In 2007 Apple didn’t just shake up Nokia, Motorola and a few other renowned consumer gadget manufacturers but also disoriented the enterprise kings especially BlackBerry. BlackBerry tried to fight off Apple by launching iPhone like phones including BlackBerry’s best yet: BlackBerry Z30 which was introduced in September last year. Then BlackBerry offered herself for bidders and Fairfax Financial Holdings Ltd almost bought her out for $4.7 billion only (compare that with WhatsApp that was bought for $19 billion). Just days to the purchase BlackBerry directors said no to the purchase and directed that they go back to making enterprise gadgets – gadgets suitable for corporate customers and chief executives who want to do it bold, big and strong. And so did their R&D go back to the drawing board, re-imagined the vision, mission and style of BlackBerry and BlackBerry Passport was the answer – the company’s 2014 flagship device that was announced in June and launched yesterday at simultaneous events in Toronto, London and Dubai. BlackBerry Passport will be available in more than 30 countries before the end of the year. So, are you an office guy who likes to live bold, big and strong? Specifically, are you that office guy whose heart was broken when you heard of the news that BlackBerry was being sold to some guys for a throw away price? If yes then we want to give you a reason to or not to buy BlackBerry Passport. We’ll go through the reported BlackBerry Passport hardware features and see how they compare to others. It seems BlackBerry didn’t just randomly land on the name passport for its BlackBerry Passport flagship. The size of the phone is actually close to the size of your travel passport at 128 mm by 90.3 mm and 9.3 mm, and given that it comes with a physical keypad, the phone’s 4.5 inch screen is a perfect square (pixel wise) at 1440 by 1440 pixels giving it a pixel density of 453 ppi. Let’s put those figures in perspective. Which phone should I consider the most standardized smartphone in 2014? By width and length I will give that to Nokia Lumia 930 that has a length of 137 mm and a width of 71 mm. BlackBerry Passport is therefore 9 mm shorter and a whooping 19.3 mm wider. 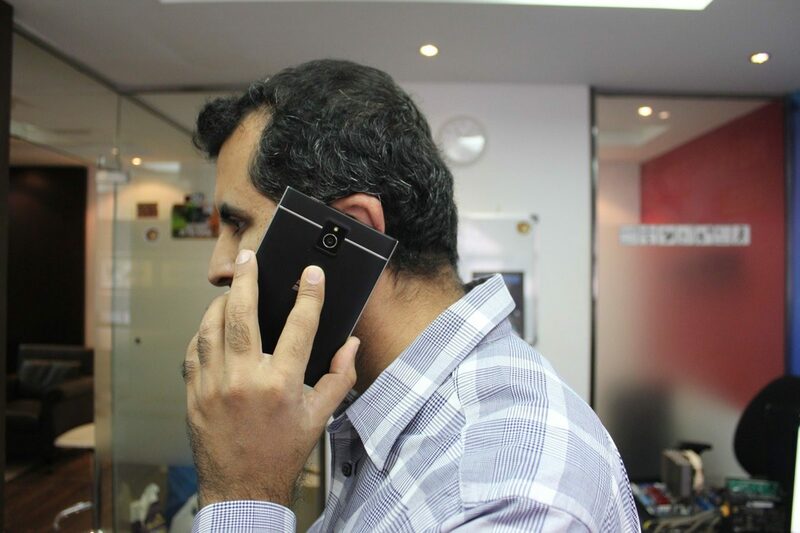 Even a phablet like Samsung Galaxy Note 3 that has been ignored by some as too wide does not come close to the width of BlackBerry Passport as Note 3 is only 79.2 mm wide. You may think that the real big phablets like Nokia Lumia 1520 would match it but you are wrong, the Lumia 1520 is still 4.9 mm narrower. If you have used the extra giant phablets like the Sony Xperia Z Ultra that features a 6.4 inch screen, then you know where BlackBerry’s width is taking you; the Z Ultra comes at 92.2 mm wide. As you would expect, the big (read wide) BlackBerry Passport comes with an extra weight at 194 grams. Those aren’t mere grams. I presented the Nokia Lumia 930 to a colleague and immediately she touched it she complained, “Damn, it’s too heavy, and bulky”. Nokia Lumia 930 weighs only 167 grams. So what is light? Some of the light phones I have used include the Samsung Galaxy S II and Samsung Galaxy S3. They both weighed in at 116 grams and 133 grams respectively. The high weight of BlackBerry Passport comes mainly from its metallic built. Other than the 4.5 inch square screen resolution on BlackBerry Passport, the radical shift from today’s flagship touch screen smartphones is the inclusion of a physical keypad at the bottom of the phone…and the keypads aren’t just physical – they are responsive to touch. What this means is that when using the physical keypad, swipe it to scroll or move the cursor. Explanation is offered below. 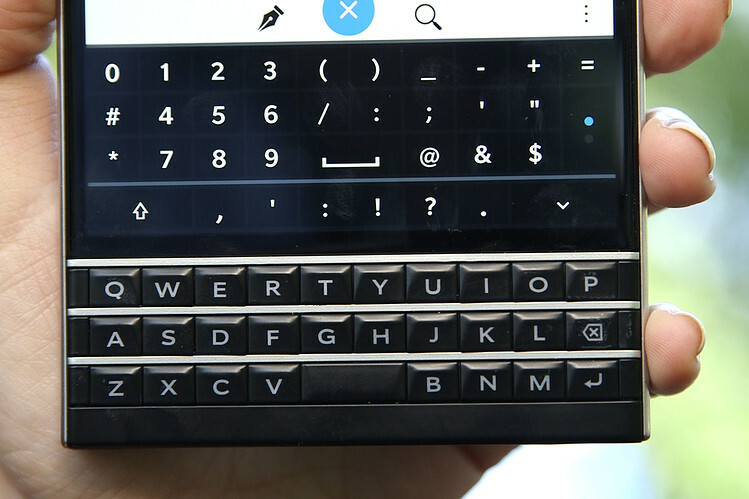 The bigger problem: It doesn’t feel like a BlackBerry keyboard. Sure, there are the reliable well-spaced frets and angled keys, but the all-important shift, number and punctuation keys aren’t there, physically—they pop up on the screen. It’s harder to get used to than it may sound. I liken it to coming home to find your living room is now your bedroom and your bedroom is your bathroom. I haven’t used the phone so I won’t disagree or agree with her comment, but the look at the keyboard makes it feel like a very comfortable keyboard to use, if you imagine further that the keypads are touch sensitive. Take a look at the keyboard and join me in the imagination. The keys are at least clicky and responsive, and the keyboard does have a few unique tricks up its sleeve. The surface of the keyboard is actually sensitive to touch, so you can scroll through web pages or emails by just gliding your thumb across the keys. It’s a weird, satisfying feeling to scroll with the keyboard and it keeps my fingers from blocking the content I’m looking at on the screen. The keyboard can also be used to move the cursor around when typing, but it’s just easier to use the touchscreen for that. Faster scrolling: You can use the keyboard to swipe up and down to scroll on long lists in a document or on a browser page, keeping your fingers off the screen and focused on what’s happening. More intuitive cursor control and text selection: Double-tap the keyboard, then drag your finger across the keyboard to drop the cursor at precisely the right point. Or select the text just as you would on an older BlackBerry: hold the SHIFT key while dragging your finger across the keyboard to extend a selection. Smart, contextual virtual keys: There is also a virtual 4th row on-screen that smartly shifts depending on context. So if you’re typing a password on-screen, the 4th row would automatically include numbers and symbols commonly used in passwords etc. I like the ability to move the cursor with the keyboard as the Android and Windows devices I have used most of the times erroneously select a word or phrase when what I want to do is to move the cursor to a different section of the text I have typed. The inclusion of a physical keyboard makes BlackBerry be in a world of its own, an office world? BlackBerry Passport comes packed with a 3 GB RAM which is a plus given today’s standard of 2 GB RAM in most 2014 flagships including Samsung Galaxy S5, HTC One M8, and Nokia Lumia 930. The processor is however a little old school as it is the Qualcomm’s Snapdragon 800 quadcore clocking a speed of 2.26 GHz at a time when the Qualcomm users have gone for Snapdragon 805 clocking speeds of 2.7 GHz. Since BlackBerry Passport is meant for office use which will require fast access to heavy documents like spreadsheets and presentations, the latest in processor power would have been the best. Actually BlackBerry Passport should have featured a 64 bit processor like Snapdragon 808 availed in April this year. BlackBerry Passport will also feature a 13 MP camera with autofocus, optical image stabilization, LED flash and capable of recording HD 1080p videos at 60 frames per second. The front facing Camera is a 2 MP able to provide a 720p video recording at 30 fps. All these core hardware in BlackBerry Passport are powered by a 3450 mAh battery; and given that there are not so many battery consuming Apps typical of Samsung gadgets, this is a real power house. If all factors are held constant, then the 3450 mAh battery should be able to drive BlackBerry Passport for an average of two days, given that a phone like Samsung Galaxy Note 3 with its 3200 mAh battery powering a number of not so useful Apps can at times give more than 14 hours of uninterrupted phone use. BlackBerry Passport runs on BlackBerry 10.3 Operating System, which, among other things, include Amazon App Store – from which users of BlackBerry Passport can access some of the most used Android Apps including Candy Crush Saga, Minecraft, Mint, Netflix, Pandora, Photoshop Express, Pinterest, and Spotify. There are a few popular Apps that are missing though, and these include Instagram (but official executives don’t do selfies, do they? ), Snapchat , and Uber (I will give this one a closer look soon as it is becoming popular). While big apps like Facebook, Twitter, LinkedIn and Yelp are there, they’re slower and uglier than the iPhone and Android versions. There are two important features on BlackBerry 10 found in BlackBerry Passport and beyond that and these are the BlackBerry Hub and BlackBerry Blend. BlackBerry Hub or as some call it, the universal inbox, is the centralized notification center that contains all the notifications – emails, Twitter, Facebook, BBM – all, accessible by swiping, from any screen, from right to left. Then since you likely have a PC, an Android or iOS device (over 40 per cent of BlackBerry users have a second smartphone), BlackBerry wants you to access your BlackBerry Passport from the other devices via BlackBerry Blend. with the Blend, you can access your IMs, and Emails on BlackBerry Passport using an Android, and iOS or Windows devices. BlackBerry Passport is up for sales for $599 which means it may land in Kenya for Shs 80K, including VAT, or less.